New RTI recruiting contributor Landon Steffy contributed to this article. Tennessee is vying to get involved for the services of a recent Texas A&M decommit. Four-star defensive back Major Burns decommitted from Texas A&M earlier this week after committing to the Aggies on February 3rd. The same day he announced that decommitment, Tennessee’s coaching staff swooped in and offered him. Burns is a 6-foot-3, 170-pound defensive back from Madison Prep Academy in Baton Rouge, Louisiana. According to the 247Sports rankings,he’s the No. 190 overall player and No. 17 safety in the 2020 class. The composite rankings have him as a four-star as well, but he’s just outside the top-300 overall prospects in those ratings. 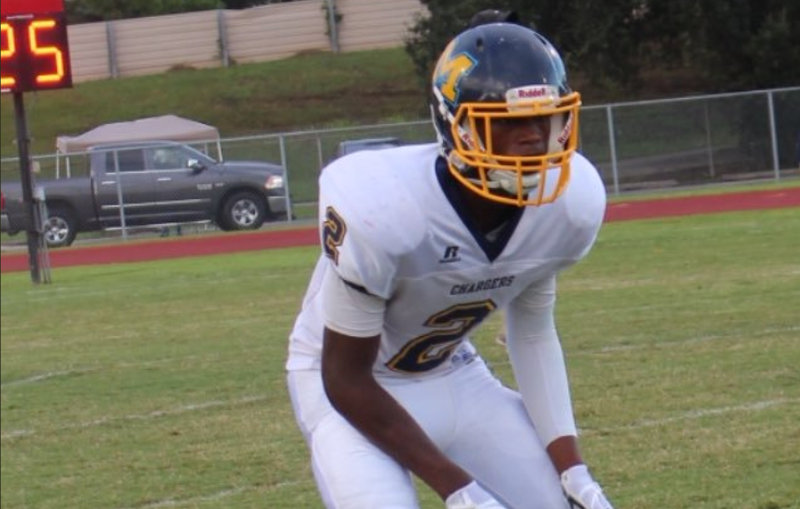 The talented defensive back has recently received several offers including ones from Oklahoma, Louisville, Florida and the home state LSU Tigers. Along with those, he currently holds offers from Arizona, Duke, Florida State, Georgia Tech, Mississippi State, and Notre Dame among others. He recently announced that he plans to take an official visit to Oklahoma on April 13th for their annual spring game. Burns has recently been invited to The Opening Finals as well as being invited to participate in the Under Armour All American Game in January 2020. He is a very lengthy defender with a very large wingspan and plays with a mean streak. He’s very physical at the line of scrimmage and able to jam receivers off the snap very well. He also is very speedy running, a 4.58-second 40-yard dash. It will be interesting to see if the Vols can get involved in his recruitment, as he will be a highly sought after recruit come signing day. He’s also teammates with four-star athlete Joel Williams, one of Tennessee’s top targets in the state of Louisiana in the 2020 cycle. He’s also friends with Koy Moore, a four-star receiver in Louisiana who the Vols are targeting as well. Tennessee is attacking Louisiana hard in this cycle, and Burns will be a prospect to keep an eye on.